Many in nominal worship today believe and proclaim this same message — that Yahshua the Messiah has “nailed the Law to the cross.” How much of this belief is true, however? Has the Law been nailed to the stake or does Yahweh’s Law remain in effect for His New Testament believers? Let us examine some popular New Testament passages cited by those who would abolish Biblical law. Many point to a passage in Colossians as proof that Yahshua did away with the Old Testament Laws. Here Paul writes, “Blotting out the handwriting of ordinances that was against us, which was contrary to us, and took it out of the way, nailing it to his stake” (Col. 2:14). With an understanding of the Greek word “ordinances” in this verse, we find another meaning. The Greek word here is No. 1378,dogma. Strong’s Exhaustive Concordance Greek Dictionary defines dogma as: “from the base 1380; a law (civil, cerem., or eccl. ): — decree, ordinance.” Dogma is found seven times in the New Testament and refers to man-made decrees. One authority writes, “As the form of error at Colosse was largely Judaic, insisting on Jewish ceremonial law, the phrase is probably colored by this fact,” Word Studies in the New Testament, p. 908. Now read on in Colossians 2. Verse 16 refers to those judging you (with added man-made law that the Pharisees were clearly guilty of in Yahshua’s and Paul’s day) regarding keeping his holy days or clean foods or Sabbaths, “which are a shadow of things to come.” Verse 17 plainly says that these are a “shadow of things to come.” It is certainly not referring to “blotting out” or “doing away” with these important parts of Yahweh’s law, as some may argue. Now to the key that unlocks Paul’s meaning and intent for writing this chapter—verses 21-22: “Touch not; taste not; handle not; Which all are to perish with the using; after the commandments and doctrines of men.” The Apostle Paul was clearly referring to “dogma,” meaning man-made decrees, not Biblical ones. Yahweh was not always pleased with these added laws. Yahshua chastised the Jews in Matthew 15 and Mark 8 for their “commandments of men,” which here meant eating with unwashed hands. The Jews made many physical commandments, but they neglected the spiritual aspect of Yahweh’s Law, and that is what displeased Yahshua. On the surface it may appear as if Yahshua ended the law for everyone when He died on the stake. Does that harmonize with the rest of Yahweh’s Word, however? Are we now living lawlessly? If so, then we have no sin because “sin is not imputed when there is no law,” Romans 5:13. But that cannot be, because Paul also wrote, “All have sinned and come short of the glory of Yahweh,”Romans 3:23. Is something missing here that most don’t see? The Greek word for “end” in this passage is telos, and telos is defined in Strong’s Greek Dictionary as: “to set out for a definite point or goal, the point aimed at as a limit” — No. 5056. The same Greek word telos is translated “end” in James 5:11: “…you have seen the end [telos] of Yahweh.” Has Yahweh come to an end? Of course not, and neither has the law. Both Yahweh and the law have goals, not ending points. We will now look at an important goal of the law. Galatians is one of the most troublesome books for many in today’s religious circles. In Galatians 3 we have a passage that has been misunderstood by the major populace today. “Wherefore the law was our schoolmaster to bring us unto Messiah, that we might be justified by faith. But after that faith is come, we are no longer under a schoolmaster” (Gal. 3:24-25). This verse is not difficult to understand if we consider some key facts. We saw in Romans 10:4 that the Messiah is not the end of the Law, but the goal at which the law aims. Messiah is the object or purpose for the Law. Only through the Law can we know Messiah, because Yahshua literally represents the Law in flesh. He lived the law in every aspect. If we do the same, we will be like the Messiah. Paul is saying that through the Law we know Messiah, but after we have come to the knowledge of Yahshua we no longer need a schoolmaster, because the Law is part of us now, as is the Messiah. In the Greek culture a schoolmaster was a paidagogos, a trustworthy slave who had the guardianship of the boys of a household. They needed him for guidance and instruction while they were young. But after they grew up, they lived by the precepts he taught them. It became second nature to do what they had been taught. They would no longer need the schoolmaster once they learned “the rules.” This is the point Paul was making with the law. 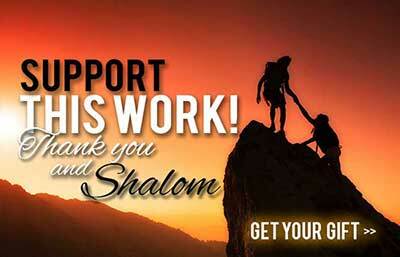 Through faith we comply with Yahweh’s will automatically. His precepts and laws are now part of us. We no longer need a strict schoolmaster guiding our every thought and action because doing the right thing is second nature. Yahshua and many of His faithful disciples not only show that the Law has NOT been annulled, but they also express for it a deep love. Yahshua came not to destroy the Law, but to fulfill or complete it, as the Greek indicates. Yahshua said those who uphold and teach the Law will be blessed with honorable positions in the Kingdom, but those who refuse to keep it and teach others the same fallacy of non-obedience will not be blessed and will not inherit any position. Yahshua was not the only advocate for Yahweh’s Law. We find the Apostle Paul, who is usually cited as being against the law, inRomans 3:31 in fact promoting lawkeeping: “Do we then make void the law through faith? 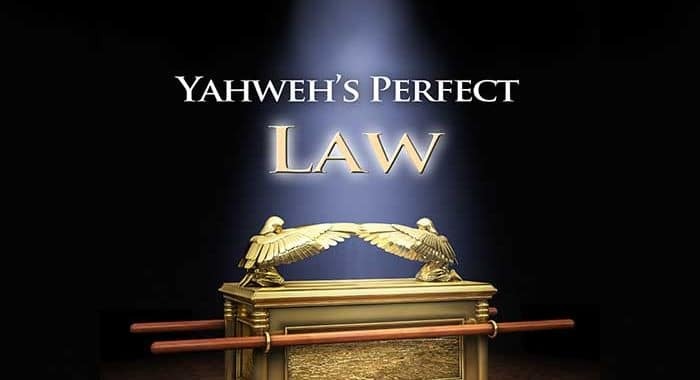 Yahweh forbid: yea, we establish the law.”Paul never said that Yahweh’s Law wasn’t important. Many will say that all we need is faith. Paul says that we need both faith and law. We are not to throw out the Law because of faith, but as Paul says we are to establish it within our lives. In Romans 7 we find the Apostle Paul again promoting Yahweh’s Law: “Know you not, brethren, (for I speak to them that know the law,) how that the law has dominion over a man as long as he lives?…What shall we say then? is the law sin? Yahweh forbid. Nay, I had not known sin, but by the law: for I had not known lust, except the law had said, Thou shalt not covet…Wherefore the law is holy, and the commandment holy, and just, and good” (Rom. 7:1, 7, 12). Paul says that the Law has dominion or authority over us till death, just as marriage does between two people. He also says that without the Law we would not know sin. Paul concludes this passages by not diminishing the Law, but by giving it the highest honor. “You shalt not muzzle the ox when he treads out the corn” (Deut. 25:4). “The wages of him that is hired shall not abide with you all night until the morning” (Lev. 19:13). In Acts 24 Paul is standing before Felix, the governor of Judea. Paul is being accused of following and even promoting a division among the Jews. In truth, Paul never rebuked the Jewish faith, but proclaimed that he followed all that his ancestors taught. “But this I confess unto you, that after the way which they call heresy, so worship I the Elohim of my fathers, believing all things which are written in the law and in the prophets” (Acts 24:14). In the governor’s attempt to condemn the Apostle, Paul not only says that he believes, but also unmistakably advocates the Law and the Prophets. If he believed in the Law and the Prophets, he clearly would have been observing both. The Law here includes all five books of the Torah, while the Prophets indicates the entire collection of the Old Testament prophets and all that they taught about Yahweh’s will through His law. Obviously, Paul never uprooted the Law, but had great respect and love for it. He realized its benefits. He knew that the only way to know right from wrong was by Yahweh’s holy standards inspired in the first five books of His Word. What would we use for knowing right from wrong if Yahweh’s Law were annulled? We are also warned of breaking Moses’ Law in Hebrews 10: “For if we sin willfully after that we have received the knowledge of the truth, there remains no more sacrifice for sins, But a certain fearful looking for of judgment and fiery indignation, which shall devour the adversaries. He that despised Moses’ law died without mercy under two or three witnesses: Of how much sorer punishment, suppose you, shall he be thought worthy, who has trodden under foot the Son of Elohim, and has counted the blood of the covenant, wherewith he was sanctified, an unholy thing, and has done despite unto the Spirit of grace? For we know him that has said, Vengeance belongs unto me, I will recompense, says Yahweh. And again, Yahweh shall judge his people” (Heb. 10:26-30). Notice that the writer of Hebrews very plainly says that once we have come to the knowledge of the truth, there is no more remedy for sins committed thereafter. This is a dreadful thought. The writer of Hebrews continues by stating that those who break Moses’ Law, which was received through Yahweh, will have a greater judgment than those of the Old Testament. This contradicts the man-made notion of a New Testament based on grace and faith alone. Salvation involves more than a simple proclaiming faith and grace to all those who believe. Salvation requires an action — obedience. We find this confirmed in Hebrews 5:9: “And being made perfect, he became the author of eternal salvation unto all them that obey him.” Yahshua, the author of salvation, offers the gift of salvation only to those who obey Yahweh’s Word. We cannot just believe or say that we have faith, but must act on our faith by obedience. This passage is important to understand because the message goes much deeper than most realize. We not only show love by keeping Yahweh’s commandments, but we must also keep them out of a deep-down desire to serve Him. His commandments must be so desirable that they never seem grievous to us. If they are grievous, then we have defeated the purpose of observing Yahweh’s Torah. Yahweh’s Law is to shape and mold us into Yahweh’s own character. Any negative feelings toward His law amount to resistance of that goal. Yahweh’s standards are a reflection of His own morals and ethics. Why should He not want us to have the same nature as He does? In the Book of James we find Yahshua’s brother unequivocally promoting law keeping for Yahweh’s people. “What does it profit, my brethren, though a man say he has faith, and have not works? can faith save him? If a brother or sister be naked, and destitute of daily food, And one of you say unto them, Depart in peace, be warmed and filled; notwithstanding you give them not those things which are needful to the body; what does it profit? Even so faith, if it has not works, is dead, being alone. Yea, a man may say, You have faith, and I have works: show me your faith without your works, and I will show you my faith by my works. You believe that there is one Elohim; you do well: the devils also believe, and tremble” (James 2:14-19). James asks a crucial question for any believer: What good is it if we have faith but no works? It’s like a vehicle with no gasoline, it travels nowhere. Our salvation works the same way. With faith and works we are promised Yahweh’s kingdom; however, without either of the two our salvation comes to a halt, with no gasoline to continue. 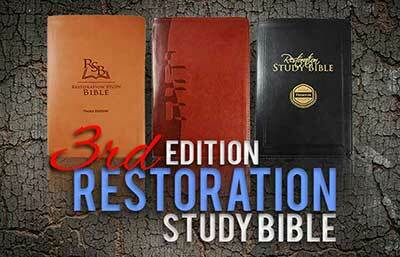 Three noteworthy passages are found in the Book of Revelation. The first is the prophecy of the woman, meaning the Assembly, being taken into the wilderness for protection from the adversary. “And the dragon was wroth with the woman, and went to make war with the remnant of her seed, which keep the commandments of Elohim, and have the testimony of Yahshua the Messiah”(Rev. 12:17). Notice what distinguishes Yahweh’s people. Two characteristics define Yahweh’s saints: keeping of Yahweh’s commandments, and having faith in Yahshua. By these two characteristics Yahweh’s expectations for His people are defined. Yahweh defines His Saints as those that are keeping His commandments and having a faith in Yahshua the Messiah. Very simply, these two elements are essential for a believer, for without them we will not have access to Yahweh’s Kingdom. In the last chapter of the Bible Yahweh warns us once again of the need for keeping His commandments. “Blessed are they that do his commandments, that they may have right to the tree of life, and may enter in through the gates into the city” (Rev. 22:14). Here at the end of the Bible Yahweh clearly says that keeping His commandments is a requirement for entering His glorious Kingdom. Yahweh will only accept those with an obedient and humble heart. A heart that never wavers from Him, but stays true to the end. Every utterance that Yahweh has given is profitable in some way. Whether it be reproof, correction, or instruction, Yahweh’s Word has a place in each of our lives. It instructs us to righteousness, which is defined by observing Yahweh’s Law. Within the prophets we can find an abundance of prophecies for the New Testament believer. One prophet specifically educates us concerning the Law of Moses. His prophecy is a reply from Yahweh. In Malachi chapter 4, Malachi prophesies of the distant future. He tells of a time when the whole earth shall burn like a furnace, and the wicked shall become stubble. Malachi’s message is vital, for the message does not stop with those in the Old Testament, but continues on for those in the latter days. He warns that we must not forget the Law of Moses: “Remember the law of Moses my servant, which I commanded unto him in Horeb for all Israel, with the statutes and judgments” (Mal. 4:4). This is important to understand. We in the 21st century learn here that the saints are told to keep ALL the Law, with statutes and judgments. We must not neglect any of Yahweh’s Law, but observe every inspired commandment as Yahweh so wishes and instructs us, His people. Posted in Biblical Feast Days, Sabbath, Biblical Law and Torah Studies. The word used for “law” in Kehillah in Colossea is kabbalah not Torah. Torah is the everlasting Law of Yahweh, kabbalah is the man made law which was used by ancient and modern Hebrew mystics. As the passage state it has nothing to do with Messiah Joshua.